What Is The Best Greenhouse Set Up For Growing Marijuana? 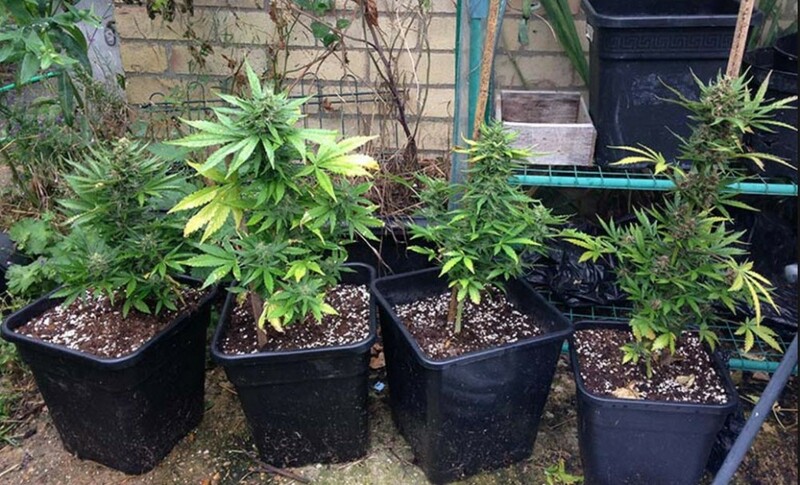 Time To Pop A Greenhouse Up To Grow Some Ganja? What is the Best Greenhouse Set Up For Growing Cannabis? from CannabisNet on Vimeo. Growing marijuana can be particularly fruitful and easy when done by using a greenhouse during the summertime months. They combine the advantages of growing marijuana plants outdoors (such as the fact that the “grow lamp” is 100% free) with the advantages and high levels of success with indoor growing. Some of the disadvantages that come with growing outdoors can be truly awful. For example, pests can be particularly harmful to your marijuana crop, and they come in a broad range. Anything from deer to rabbits to mites to mold can affect your marijuana plants when they are growing outdoors. Marijuana plants growing in a greenhouse, however, will only encounter insects -- and that makes prevention that much easier to begin with. Greenhouses can even be stealthier than other types of outdoor grow setups, allowing for your marijuana plants to be hiding in plain sight. This is especially true when you are living in a residential area since a greenhouse for things such as herbs and vegetables is already a perfectlynormal and reasonable thing to do. You can simply intermix a few marijuana plants with said herbs and vegetables, and you have formed the perfect hiding spot for your marijuana plants. This is even easier if you are living somewhere rural instead, as you can put more marijuana plants into your greenhouse. Of course, not everything is perfect when it comes to growing marijuana plants inside of a greenhouse. The smell can be overpowering when you increase the number of plants, and carbon filters can’t be used in greenhouse setups. If you happen to have a greenhouse with a really intense smell, be sure to try and take out the smell with an in-line ozone generator. When you grow marijuana inside of a greenhouse, you get to control every aspect of the grow environment. In other words, you can maximize the nutrients and other elements to ensure that your plants are getting the best and healthiest care they can. If you have already decided that you are going to use a greenhouse for your setup, the next step is to figure out which one is going to be best for you. Many people don’t realize that there are a huge variety of greenhouses to choose from, and if you aren’t prepared with the proper information about each one, then you will be caught off guard when you go shopping for one. Generally speaking, a portable greenhouse is not going to cut it for a marijuana grow setup. They are generally cheap and lighter, and will create a too-hot environment during the hottest days and will maybe even get carried away in the wind when the weather isn’t so calm. Instead, opt for a lean-to greenhouse, a free-standing greenhouse, or a poly tunnel greenhouse. Let’s look at some of the differences and similarities between all of these types. Lean-to greenhouses are exactly what they sound like -- they lean up against the exterior of an already existed building, such as your house, and use it as one of its walls. If the heat gets through that wall of your house, it will enter your greenhouse and keep the environment warm as well. They are nice and small (about half the size of other greenhouses) and therefore make for the perfect greenhouse for people growing just a few marijuana plants. These, as their title states, stand on their own and often come in the shape of a little house. Their frames are usually made either from wood or from aluminum. Before you buy the heaviest duty frame you can find, however, remember that larger frames cause larger shadows. And the more shadows (and therefore less sun) that touch your marijuana plants, the worse your end harvest is going to be. You can usually find poly tunnel greenhouses in commercial operations, but that does not mean they are scaled down and sold to private marijuana growers as well. 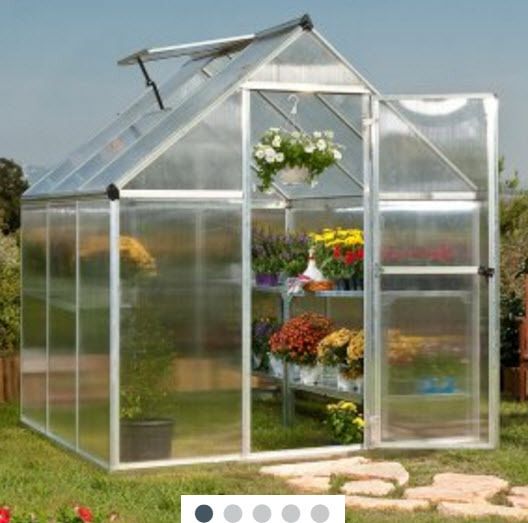 Their frame is curved, unlike the standard free-standing greenhouses, and their frames are generally made of aluminum. The exterior is made from polythene sheeting. Although these actually cost less than a conventional greenhouse, the sheeting part will have to be replaced fairly often. 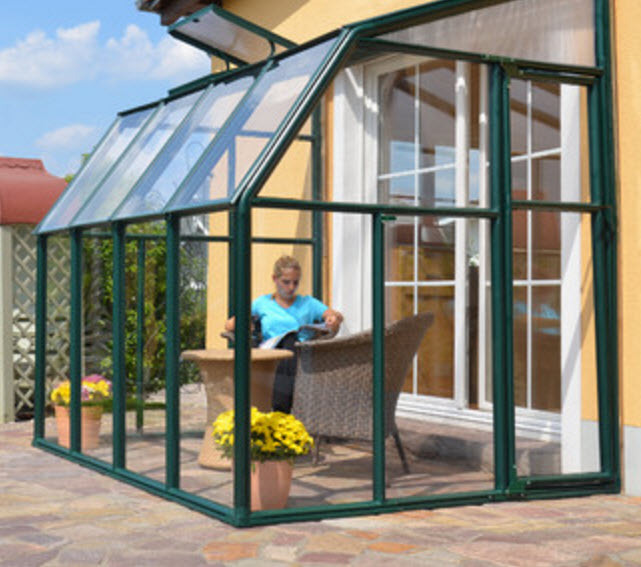 An additional aspect of buying greenhouses that you have to consider is how big of a greenhouse you would like to buy. As a good rule of thumb, always purchase greenhouses that are one size larger than you initially think you need, as it almost always happens that the grower ends up using more space than they expected. Not only that, but a greenhouse that is too big is not a problem, as the extra space can simply be used for storing supplies and what not. 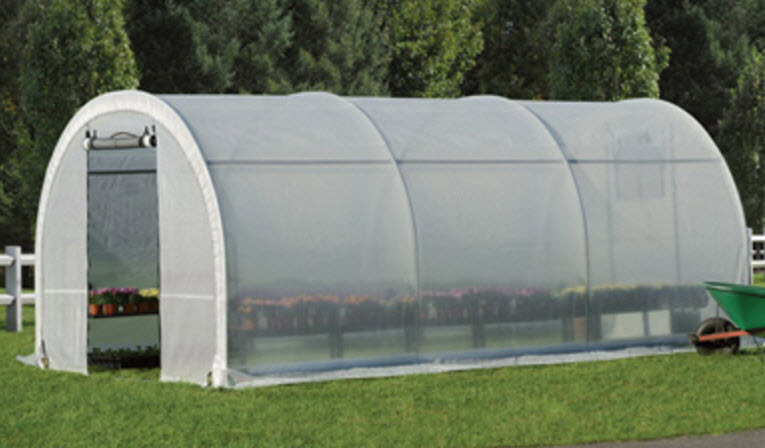 A greenhouse that is too small, however, can cause some issues in your growing operations. Another element of greenhouses that you need to consider is whether or not you will get one with diffused panels. Diffused panels (or coverings, depending on the type of greenhouse you purchased) are generally recommended -- at the very least, go for semi-diffused paneling. This is because clear panels let direct sunlight through to your plants, and that will have some unexpected growth issues for your plants’ mature stage of life. One of the trickiest aspects of growing marijuana in a greenhouse is the fact that the temperature is so difficult to keep at a healthy level. In general, you will struggle more with overheating than with keeping things warm enough for your marijuana plants’ survival. Although warm air is certainly necessary for any marijuana grow setup, this is only critical during the cooler months out of the year. During the warmer months, however, the hot air inside of your greenhouses needs somewhere to go, or else it will cause the temperature to rise to levels that are dangerous for your marijuana plants. The best way to combat this temperature difficulty, then, is to have proper ventilation. This can be done most effectively by simply purchasing a greenhouse that already has a good ventilation setup or the possibility of installing one without too much trouble. Ventilation should be found in the glazing of the greenhouse and should total at least 20% of the total floor area. Mainly it needs to be good enough that air can go in and out of the greenhouse without too much trouble -- the best positioning for vents to achieve this is to have vents at the top of your greenhouse (to release hot air) and at the bottom of it (to take in cool air). It is sometimes difficult to establish exactly where and how you would like your greenhouse to be positioned. Keep in mind that your plants should get between five and seven direct sunlight hours every day. The best way to accomplish that is by facing the greenhouse to the south. Remember, the amount of direct sunlight your marijuana plants receive directly correlates with their growth and final harvest. The sun should also be hitting your greenhouse in the morning rather than the evening because otherwise morning dew can form and that can lead to problems with mold in your marijuana plants and their buds. Before growing, you will need to choose a strain. Keep in mind that, assuming you are living in a Northern Hemisphere location with four seasons out of the year, your marijuana plants will probably be able to grow between the months of April and November. This also means that October is the harvest month. You can expect to grow one full crop (from germination through the harvest) each summer season. Make sure you are sowing your seeds by April, as that will allow you to bring your marijuana plants out into your outdoor grow setup (in the greenhouse) by the middle of May or the start of June, giving them plenty of time to grow during the summer growing season. You can expect the vegetation period of your plants to occur throughout May and June, and once the sunlight hours reach their peak and then begin to decrease again in the middle of summer then the flowering period will be naturally triggered to begin. At this point, you have between two and three months to get your marijuana plants to grow their buds as much as possible, meaning you can harvest them sometime in September, October, or November. Some people prefer to grow their greenhouse marijuana plants with a hydroponics system. If this sounds like something you are interested in, you should consider a passive hydroponic system that is not powered by a power source (pumps, timers, and electricity). These passive systems do exist and will achieve equally high yields as “regular” hydroponics systems. Of course, the strain is what determines a lot of these details. Another aspect that can be affected not only by the strain but also by the growing environment is the size of your plants. 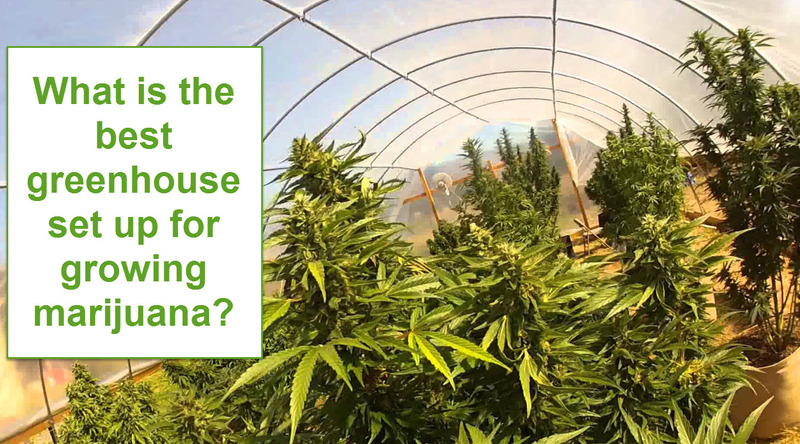 One problem many marijuana growers run into is that their plants actually get to be too huge, and since greenhouses only have so much room, it creates issues for the grower. Autoflowering strains are easier to grow if you live in a location that has a climate that reduces the amount of light hours received by the plants, such as the UK. These strains will begin to flower after a certain amount of time rather than a certain amount of light, meaning they will flower whether or not the lighting hours are ideal. These types of strains also happen to have a higher resistance to cold, disease, and mold, which is also ideal for climates such as the UK because it is often very damp inside the greenhouse and elsewhere. Of course, another perk exists with the autoflowering strains of marijuana: they have shorter growing seasons, which actually means that (assuming you have planned it right) you can grow more than one crop of marijuana plants within one summer season. Many greenhouse growers have as many as three marijuana harvests every year. Autoflowering strains tend to be smaller when they are fully grown as well, unlike other types of strains. This is due in part to the fact that their grow season is kept short, meaning they do not have the same opportunity and time to grow into the massive monster plants that you sometimes see with non-autoflowering strains. Smaller plants are often ideal for greenhouses since they won’t run out of space and allow for the plants next to them to keep growing. 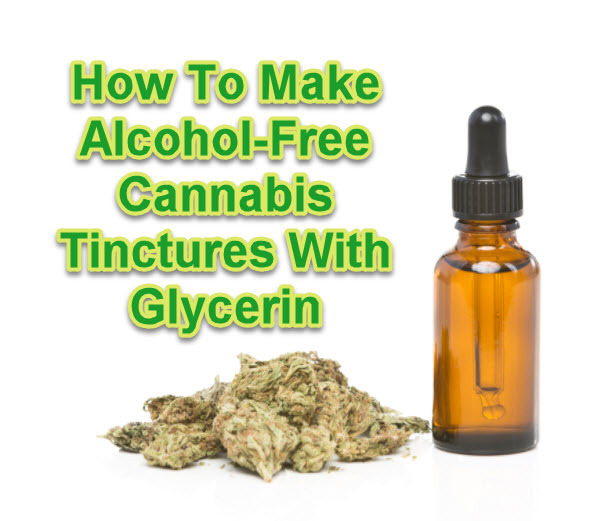 Written by Robert Bergman, founder of ilovegrowingmarijuana.com. 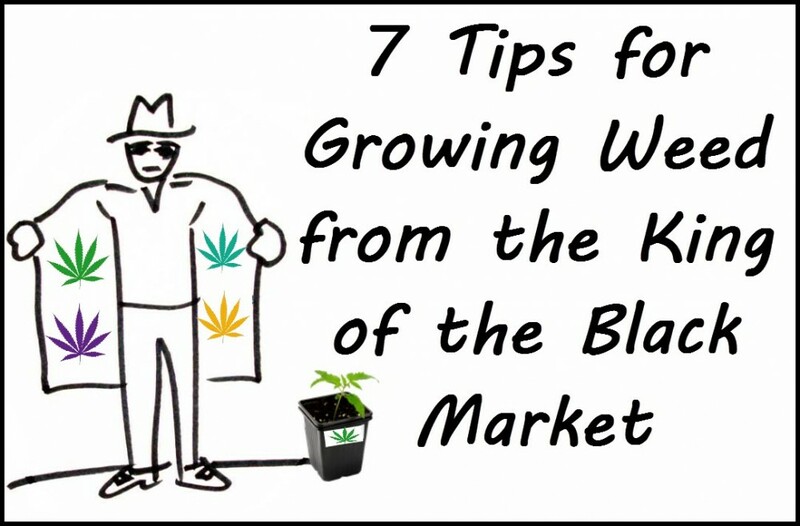 Robert has been growing cannabis passionately for over 20 years and shares this insight to educate growers avoid mistakes and to fully capitalize on a bud's potential and get the most out of a marijuana plant. What Is The Best Greenhouse Size For Growing Cannabis? TIPS ON GROWING CANNABIS FROM THE PROS, CLICK HERE. HOW MUCH GRASS CAN YOU GROW AT HOME? 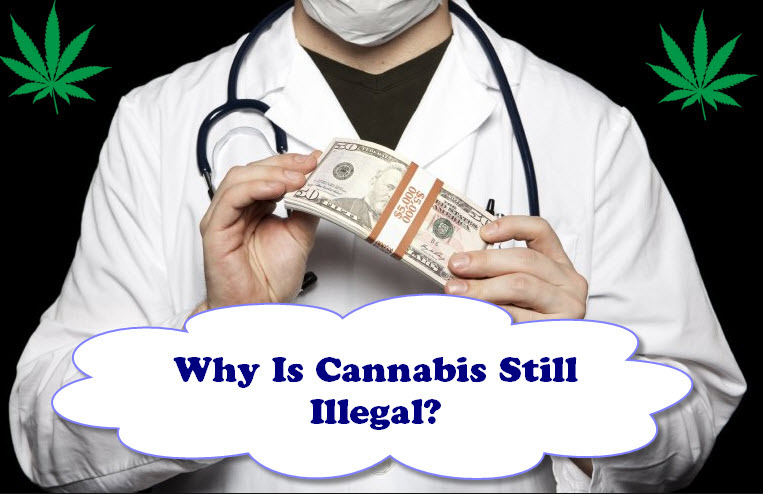 CLICK HERE TO READ..
With the majority of the world in favor of full-scale legalization, we must ask ourselves “why isn’t it legal yet?” To answer this question, we must explore the top industries that stand to lose the most if marijuana and drugs in general were legalized. How Do You Make Cannabis Coconut Oil and Why Would You? Since coconut contains medium-chain fatty acids and cannabinoids are lipid based, meaning they bind to fatty acids, the fusion is a match made in heaven.